Abbott Laboratories Company Information Is this your company? Add your own content to this page. 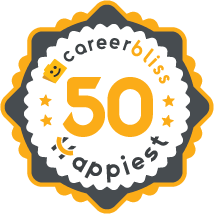 We've calculated that the average salary at Abbott Laboratories is $70K based on 2,660 user-submitted salaries A total of 468 Abbott Laboratories employees gave Abbott Laboratories an average happiness rating of 4.1 out of 5.0. 105 Pharmaceutical Sales Representatives from Abbott Laboratories submitted salaries. 1.6 • Direct manager periodically harassed me about my salary during private meetings in his office. He told me that my salary was too high for my position, questioned why the company chose to pay me such a salary and openly complained that I was one of his top paid employees. My manager also said that I should learn to appreciate my current salary when I asked how I could earn a greater merit increase during an annual performance assessment. I perceived this behavior as a form of jealousy. • Company does NOT follow its own standard disciplinary procedures outlined in Corporate Human Resources policies. Counseling services, performance improvement plans and probation are swiftly bypassed when it is convenient for management. • Company does NOT follow its own standard employee problem solving procedures outlined in Corporate Human Resources policies. Conflict resolution between employees either directly or with management as an arbitrator is discouraged so that Employee Relations can get involved and escalate the severity of the situation. • Company denied me a severance package upon terminating my job • Company refused to bridge my pension upon terminating my job just weeks prior to vesting. • Company assigned its own employee as the independent, third-party reviewer for my job termination appeal. This employee's relationship with my direct manager led him to immediately dismiss my appeal. • Company retaliated against me by appealing my unemployment benefits eligibility with the Workforce Commission. However, after company could not prove allegations and even failed to appear for its own appeal hearing, the WC affirmed my unemployment benefits eligibility. • Company refused to negotiate a settlement with my attorney once again citing allegations it could not prove. It threatened to publicly smear my name and counter-sue me for attorney's fees should I ever file a lawsuit. 3.6 Abbott Laboratories has a friendly work environment with good chance of advancement within the R&D group of the company. New hires are usually brought in as contractors and converted to full time employees within 6 months. They have a cafeteria on-site with free coffee in the morning. Some of the contractors, like me, never get converted, this is usually within the operations group, if you don't get hired within a year, move on! Abbott Laboratories is highly successful and integral component of the pharmaceutical and healthcare industry. The company has several divisions and is responsible for outputting key medication that helps millions of peoples’ lives every day. Abbot Laboratories began in 1888, first as Abbott Alkaloidal Company, and has since then grown to over 90,000 employees worldwide. The companies’ products include pharmaceutical, medical devices, diagnostic assays, nutritional products, and animal health products. The company has a ton of opportunity for those looking to break into and excel in the pharmaceutical industry with an Abbott Laboratories career. Some important contributions to the healthcare and wellbeing of people include: Vicodin, Advicor, FreeStyle Freedom Blood Glucose Monitor, and much more. Abbot Laboratories has been named the Most Admired Company in its industry by Fortune. As a result, it’s a highly sought after company, and hiring managers at Abbot Laboratories are looking for highly intelligent and passionate professionals, no matter which field. If you’re interested in an Abbot Laboratories career, then check out our jobs page for openings.